Your mother-in-law asks you when your baby is next due for a feed. Do you: a) Tell her he’s due when he’s hungry and assume she’s just making conversation; or b) Spend the rest of the afternoon worrying that your MIL thinks you don’t feed your baby enough and that you might be starving him? If you answered with the latter then you may be feeling a little hyper sensitive right now. But don’t worry, it’s completely normal for new mothers to feel touchy and emotional. Although we do need to always keep an eye out for the signs of post natal depression. Which is why we want you to know exactly what’s going on with your body and brain right now. The below points should help explain your current emotional state and hopefully convince you to be gentle with yourself. You are operating on as little as a few hours sleep a night (if you’re lucky! ), your body is depleted of nutrients after growing and birthing a baby, you are hormonal, feeling rundown and understandably overwhelmed by the enormous task of caring for a new baby with no prior training. And if it’s not your first bub, then you are caring for your newborn on top of having other little loves to juggle. In addition to this, your brain is going through some crazy rewiring as it changes to help you read your baby’s mind and put his needs first. As such, these changes might be sending you a little round the twist. While this period in your life may be more wondrous and meaningful than you’d ever imagined (“I can’t believe I created something so perfect and beautiful. He is my life’s purpose!”), you can find yourself seesawing from feelings of euphoria to being completely bummed out. Hello tears of joy one minute and self doubt the next! 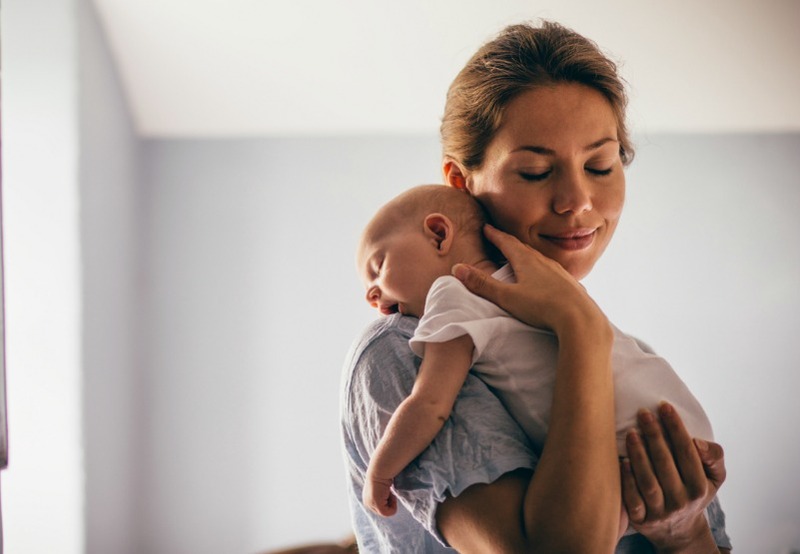 There is a lot of information written about the ‘third day baby blues’: the three days after you’ve given birth when oestrogen and progesterone levels drop making you feel constantly weepy. But these feelings of unexplained sadness are also quite normal, weeks later. Add to this the rapid increase in your levels of prolactin (which enables milk production if you’re breastfeeding) you can feel very hormonal and as a result, overly sensitive. In addition to all the biological explanations for your moods, mums today feel an immense amount of pressure to be perfect. We are scared to ask for help out of fear of being judged and bury our heads in the baby books instead of reaching out to our support network. But here’s the thing, we are mainly doing motherhood alone. We may have the support of our own mothers and friends, but we don’t have an extended village helping us out. We feel isolated as we struggle at home alone with our new babies. As new mums we need to step outside of ourselves and try to see things as they are, not as we perceive them to be right now. Your mother-in-law was probably just asking when the baby is due for a feed because she wants to squeeze in another cuddle before she has to leave. That’s all. So, how can you help yourself to gain a little perspective? Here are some things to tell yourself. I’m a good mum and I have proof – just look at my contented baby. I’m doing more than OK. I don’t normally feel like this. I’m moody, emotional and over sensitive because my body and mind are being messed with. I don’t need a lobotomy, just a little perspective. I am not alone – mums everywhere are feeling what I am now. I need to reach out to my support network. 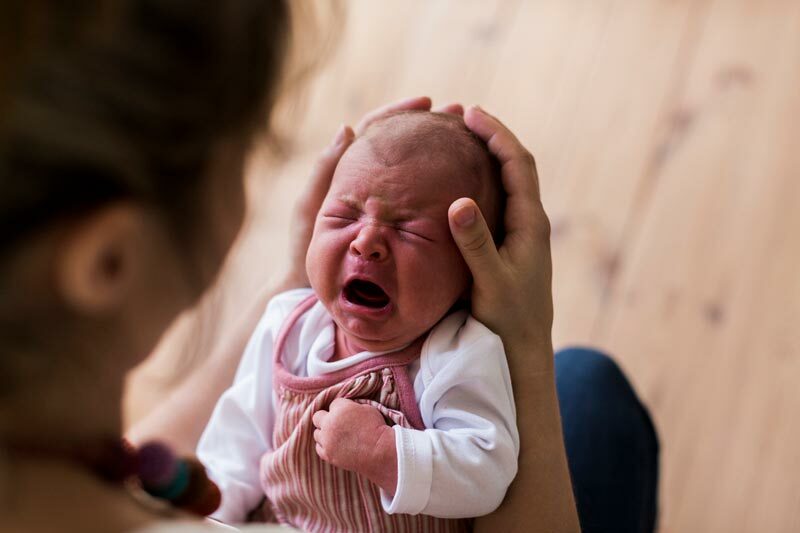 Note: If you are feeling profound sadness, hopelessness, and a sense of detachment from your baby and the rest of the world, please chat to your GP about a postnatal depression check.